I don't know one child that isn't obsessed with Lego. The concept of how a small brick can make anything you imagine has kept Max busy for more hours than I can count. 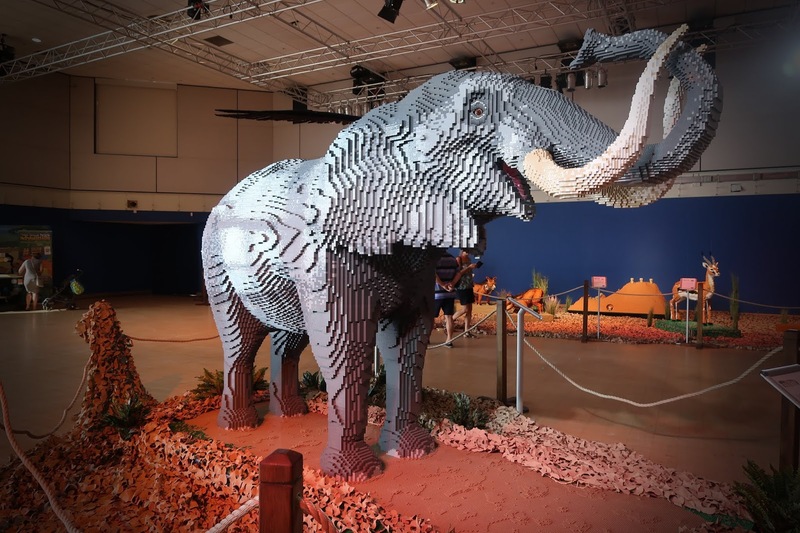 Bright Bricks are a company that have made a name for themselves by creating giant Lego sculptures that will leave you in awe of how they have even managed to create something like that. 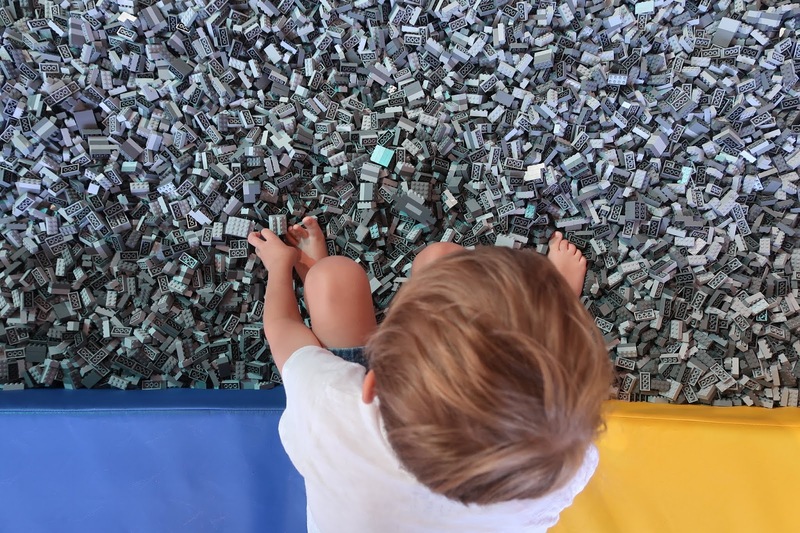 They currently have an exhibition on at the Bournemouth International Centre called the Great Brick Adventure so we popped down on opening day to have a look! I can honestly say I wasn't too sure what to expect. I knew there would be animals and creatures created out of Lego, but I didn't realise the scale of these creations until I stepped in the room. Each sculpture had a sign next to it explaining how many people it took to build, how long it took them and how many bricks. I know Max has hundreds at home, but this was on another scale. I was in awe of the elephant that stood tall in the middle of the room, the tiny penguins that were dotted around a snow scene, and the lions that made me want to sing the Circle of Life. It was honestly breathtaking and I spent ages taking each model in whilst Max ran around looking, playing and enjoying himself. Not only are there fantastic sculptures to look at, there are also brilliant games to play, bricks to play with and building to get on with. For in each room, there were places where we could build certain structures that would then form parts of a new model. Max couldn't wait to get stuck in and show off his building skills and managed to create a fair amount of a hippo before I had to drag him away and let someone else have a go. In the mythical creatures room, a Warrior Bots area was created. Children could battle it out against each other with electronic Lego robots to see who would be victorious. Max had so much fun being called up and directing his robot to try and flip the others over. I think we might need to show him Robot Wars! The mythical creatures room was honestly something of a fairy tale. With all the creatures, characters, fairies and villains you could think of it was like stepping into another world. I was in awe of the serpents and the intricate fairies, whilst Max absolutely loved the cyclops and the snakes. We even had a chance to build yet another brick for a pillar that became part of a big scene. Max was thrilled! 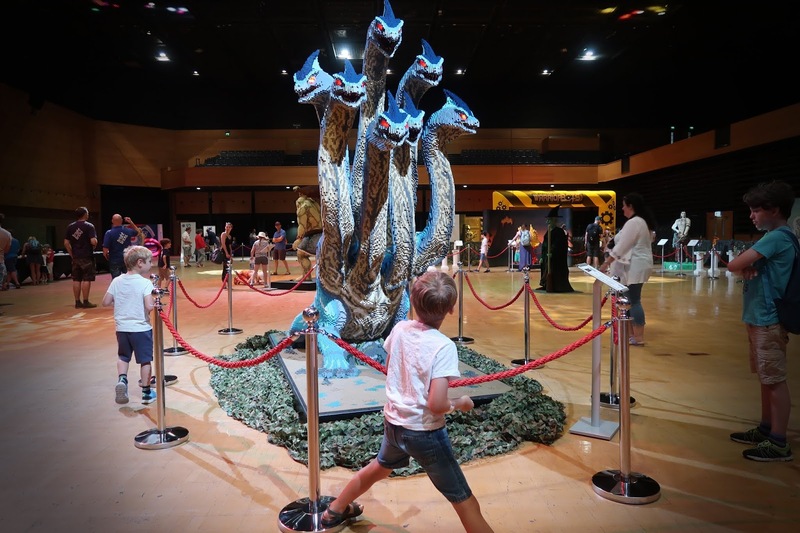 The Great Brick Adventure is on from the 26th to the 29th July at the Bournemouth International Centre, and will then be on tour throughout the UK after that.